Patsy Cline was born Virginia Patterson Hensley , and was later nicknamed ‘Patsy’ by her second manager. She grew up in Winchester, Virginia, to working class parents and was one of 3 children. Cline was always musical, and taught herself to play the piano as a child (just like me!). Like another 60’s contemporary, Nina Simone, Patsy Cline was known for her contralto voice, a voice that to this day is highly recognisable and cited as one of the greatest and most influential of the 20th century. In her early career, and while under the strict guidance of Four Star Records, Cline experimented with the Rockabilly and Honky Tonk styles, but found little success or notoriety from her recordings and performances. It was only after she auditioned for a CBS-TV show ‘Arthur Godfrey’s Talent Scouts’, that she was given her first foray into popular rotation and from there her career only went from strength to strength. Performing ‘Walkin’ after midnight’, Cline was met with astounding reviews, and promptly released the track as her first single. Shortly thereafter, ‘Walkin’ after Midnight’ reached number 2 on the Country Music Charts and allowed Cline to enjoy popularity not only in Country music circles, but in the mainstream pop charts also, and she rode off its success for 2 years. Cline eventually went on to develop “the Nashville Sound’, a sub-genre of American Country Music popularised by producers at Nashville’s RCA and Columbia Records. The Nashville Sound was characterised by the replacement of traditional ‘honky-tonk’ style instruments such as fiddles and steel guitar, with more subtle instruments such as string sections, and a more ‘croony’ vocal style. Cline is known as one of the first women to not only break into the country music scene, but also to be inducted in the Country Music Hall of Fame. On top of all this she was also the first female country artist to have their own dedicated Las Vegas Show. She was a woman who was known for her generosity of spirit who loved freely, a woman of strong character who wasn’t afraid to stand up to a man, and for the way in which she was introduced to the stage like a true artist should be – regardless of their gender (‘Ladies and gentleman, the one and only Patsy Cline’). At the peak of her career, she was actually being paid more than her male equivalents. “Showcase” was Patsy Cline’s sophomore release, and included some of her most successful songs from the previous year, recorded with Elvis Presley’s band, the Jordanaires. The first track of side one, “I fall to pieces”, was her first number 1 on the Billboard chart. 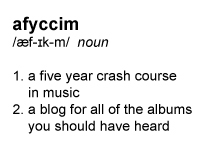 In my opinion, the song should have been called ‘I fall to sleep’. I mean really, snore. Track 2, ‘Foolin’ around’, originally written by Buck Owens, is a different story. A quirky and catchy pop song with a South- American rhythm section, this is the most upbeat song of the album, which is an oxymoron, since it’s about a cheating husband. But I always enjoy a juxtaposition of themes. The only other track worth noting is her famous recording of Willie Nelson’s ‘Crazy’. I can see why Cline inspired so many people, she was a pro when it came to imparting emotional conviction into her work, and Crazy is a beautiful example of this. It’s hard to believe she recorded this in just one take, after stewing over it for about a week. Overall – and as with much of Cline’s body of work – most of the songs on ‘Showcase’ are tender and earnest with a hint of female vulnerability. The songs mostly theme around loneliness, longing and heart ache. And again, snore. Like too many great and influential artists of the 20th Century, Patsy Cline tragically died in a plane crash at the age of 30, just 2 years after “Showcase” was released. An interesting fact is that Cline eventually helped to launch the career of a 13 year old Lee Ann Rimes. Rimes’ debut single, Blue, was in fact a song written by Bill Mack for Patsy Cline but did not get recorded due to her premature death. If that’s not a living, breathing legacy, I don’t know what is. Not being a country music enthusiast, I was pleasantly surprised by this album. What is it about Patsy Cline’s voice that’s so endearing? There’s a sweetness lying underneath the sadness that tinges some of these songs. She’s singing about heartache and it somehow seems uplifting instead of gloomy. The arrangements are light and breezy, making the music very accessible. 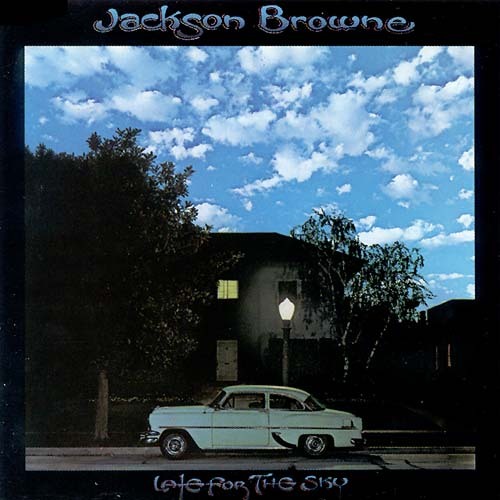 Although they are almost buried in the mix, the background vocals of the Jordanaires are wonderfully representative of the era; bordering on cheesy, but never overstepping the line. It doesn’t hurt that this record also contains three of her biggest hits in ‘I Fall to Pieces’, ‘Walking After Midnight’ and ‘Crazy’. These three tracks have been ingrained into popular culture over the last few decades, transcending the country music scene that they’re synonymous with. Cline also turns her talents to some unusual covers, particularly Cole Porter’s ‘True Love’ from the musical “High Society”. Rather than standing out, the song blends with the flow of the album remarkably well. I believe that if Cline hadn’t died in 1963, she would have become a musical chameleon, a la Bobby Darin, jumping from genre to genre with each new album. She does a lovely rendition of country standard ‘The Wayward Wind’ and ‘South of the Border (Down Mexico Way)’ has never sounded so inviting. There are one or two tracks that are fairly ordinary, but they are easily forgiven. After all, this record was put together at a time before albums were being crafted as whole pieces, rather than just a collection of songs. For sheer aural pleasure, I can’t go past ‘Crazy’. Penned by Willie Nelson, this often-covered, but never-bettered track is the highlight of the record. Seeing as Cline successfully crossed over into the pop scene, I believe this album will have something for most music fans. Patsy Cline was one of the original bad asses. The early 60s were a time where women were told what to sing, how to dress and how to act. Cline was having none of that. She played as hard as the boys but did so in a cocktail dress and heels. She carved her own path, demanding respect from her peers as went. There is definitely something about Cline’s voice and presence that is very assured. “Showcase” is notable for Cline’s biggest hit ‘Crazy’. It’s one of those rare songs that no matter how many times it is covered will always be a Patsy Cline song, which is kind of ironic as it’s actually a Willie Nelson song. Other favourite songs were ‘I Love You So Much it Hurts’ and ‘Seven Lonely Days’. 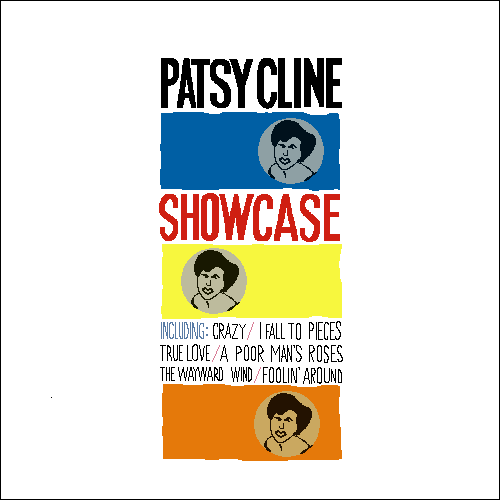 Whilst never having consciously listened to Patsy Cline her sound was very familiar as I listened to “Showcase”. I made a phone call to dad who told me he played her music a lot as I was growing up… he also said to tell you all that if you like Patsy Cline you should also check out Skeeter Davis. I’m kind of torn with this album. I love everything Cline stood for and her voice reminds me a lot of being a kid, so there’s an emotional connection there. However much I tried though it pretty much comes down to this – I just don’t like country music and I just don’t like that big orchestral sound. I do have a soft spot for Patsy though… how could you not? This album however is probably not one I’ll be revisiting in a hurry. For me, “Showcase” is an interesting dichotomy. Half the album I like, and half I really struggled through. There’s no denying Patsy Cline’s voice is pretty great. It’s sweet and refined, and does both slow ballads and the faster, poppy songs. The band is good. There’s nothing that really stands out, but I guess when you’re… ahem… Showcasing the singer’s voice, you don’t want anything drawing attention away from it. There is quite the roster of musicians that played on this album though, from your regular old guitars and drums, to cellos, violas and steel drums. “Showcase” starts with ‘I Fall To Pieces’, which falls on the list of songs I didn’t care for. It’s lovely if you like that kind of thing, but it’s a bit, well, boring for my liking.Which is quite the juxtaposition to track two, ‘Foolin’ Around’, which sits proudly atop the list of tracks I did like. Now, I’m not sure why I liked it. I don’t know what instrument it is in the background, but I dig it. It kinda sounds flute-y, but there’s no credits for a flute in the liner notes… The faster beat helps it move along, which I like. ‘The Wayward Wind’. Zzzzz. This is where the strings come in to effect, but not in a good way, for mine. It’s a perfect lullaby though! The standout track for me is ‘Walkin’ After Midnight’. It’s lyrically a bit confusing, but it’s a pretty good fusion of country and blues, with a kind of surfy, Beach Boys style guitar. The album finishes pretty strongly, even if the last two tracks sound quite similar… It is safe to say Patsy Cline “Showcase” wasn’t my favourite album so far. Much to hit and miss for my liking, but it definitely wasn’t awful!